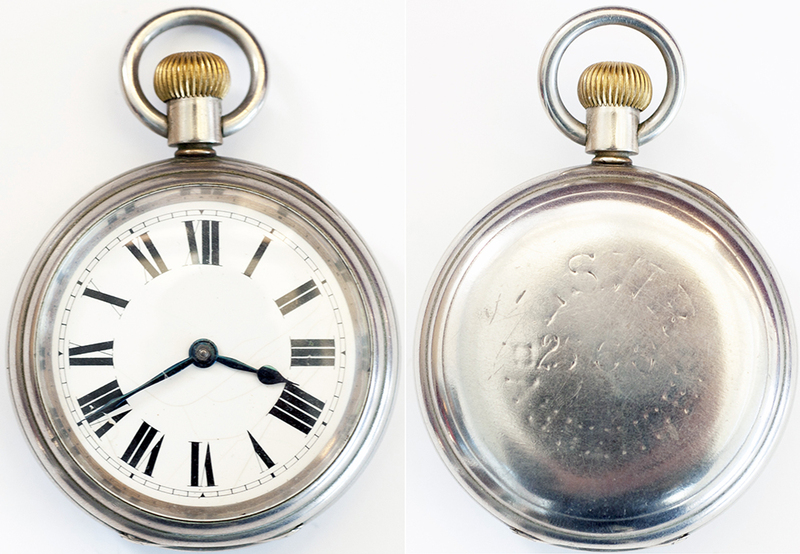 LSWR nickel cased pocket watch with American Waltham Watch Co movement 13145441 which dates this watch to 1903. The rear of the case is hand engraved L.S.W.R. 2568 PASSENGER. In working condition.